Here are some supplemental instructions for those of you working on the vibrating motor hack from the Switch Craft Basics section. For those who don't have the book, you can still use the same hack to create a handy motor set for your own projects with vibrating motions. 1. 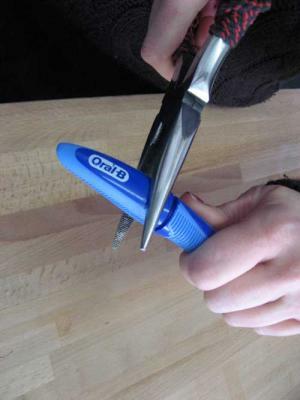 Remove the Oral-B Pulsar toothbrush from the package (skip this step if you are recycling a used Pulsar). 2. Find the parting line at the bottom of the brush and twist off the bottom “part” of the brush off. Option: If you cannot twist the bottom off with your hands then use a wrench to gain better leverage. 3. 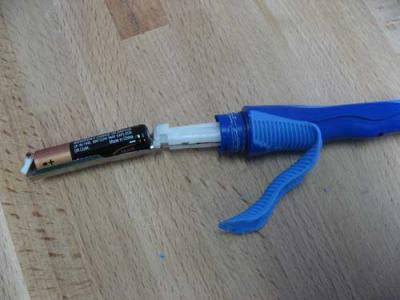 Use pliers pull the battery and motor out of the shaft. 4. 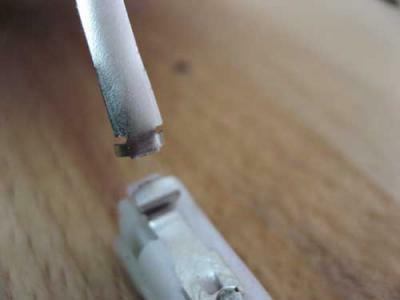 Using wire cutters trim the metal shielding that holds the battery from the plastic casing. 5. 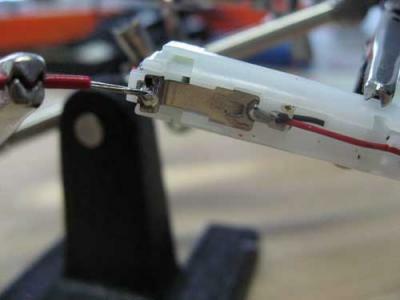 Follow directions in the book for soldering wires to the battery holder. Make sure to use red wire for the + and black wire for the -. 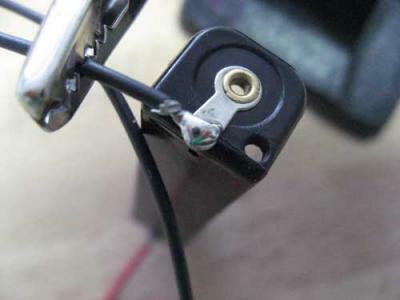 For battery holders with no wire leads, solder the wires directly to the battery holder contacts (again, red for + and black for -). The photos below show us doing this using the helping hands to hold the holder. 6. 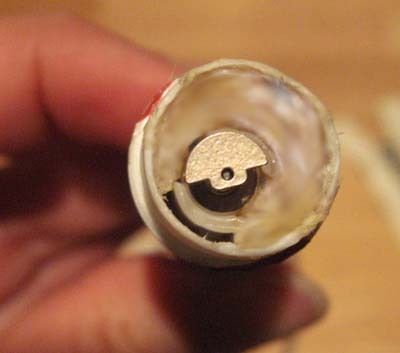 Solder the red wire to the end of the exposed metal, which is attached to the red wire of the toothbrush motor. Do the same for the black wire. 8. 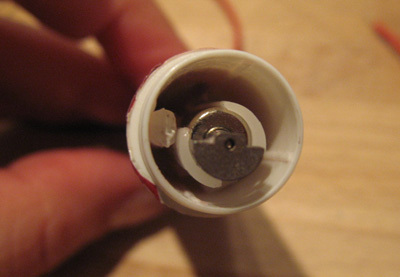 Using the glue gun, glue the motor inside of lip balm container. This is not very pretty, but it does the trick! 9. Keep following the rest of the steps in the book to complete the motor assembly. Please post any questions you have in the comment section. We'd love to see and share your projects on the site, so feel free to email your project photos and descriptions to hello [at] iheartswitch [dot] com! Thanks for sharing this, that's very useful.